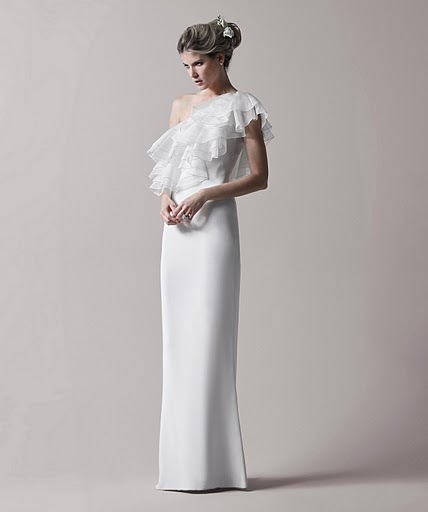 Style & Sensibility: Shopbop Bridal - March 14th Launch! How am I so late in the game?! I just heard about this and am now so excited! The super trendy and chic e-commerce site, shopbop.com is launching their own bridal boutique. This is where you'll find beauties by designers such as Halston Heritage, Thread Social, Rachel Pally, Alice + Olivia, Calvin Klein, Catherine Deane, Lela Rose, Max Azria, Notte by Marchesa, Temperley London, Thayer, and Zimmerman. For those on a budget, the website has also teamed with young New York designers to create affordable gowns in exclusive shopbop.com colors. seriously...I wish I could get married again! Read more over at The Bride's Guide on Martha Stewart Weddings.